To avoid paying taxes on expensive electronics, a group of Chinese smugglers attached thin cables to homemade slingshots and crossbows. Firing from the 21st floor of a high-rise complex in Shenzhen, Guangdong, China, projectiles were fired over the Sha Tau Kok river into a small village house in Northern Hong Kong. With both sides of the thin wire securely attached to buildings, the smuggling ring packaged iPads and iPhones into black and camouflage canvas tote bags. 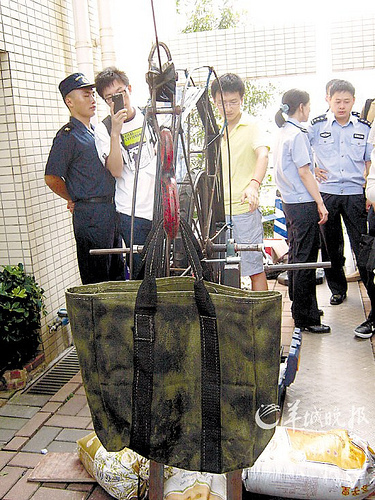 Under the cover of darkness, the criminals used a simple rope and pulley system to transport the goods from the Hong Kong home to the tall building in Shenzhen. Each bag filled with electronics took about two minutes to transport across the river. However, it didn’t take police long to discover the actions of the smugglers and quickly move to capture the expensive goods as well as arrest the smugglers (video below). 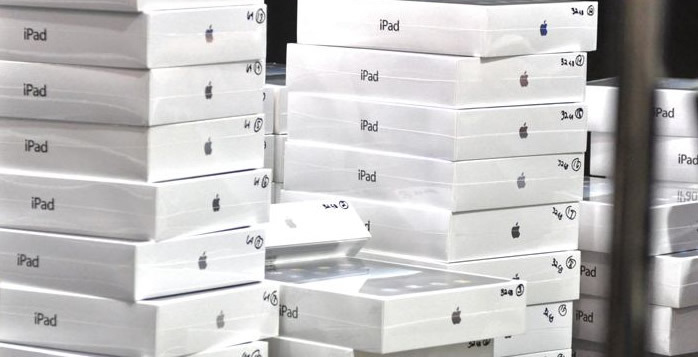 Around $46,000 worth of Apple iPads and iPhones were recovered from the smugglers and at least six men have been arrested in connection to the crime. If the smugglers had been successful, the Apple products could have been sold at a discount rate and avoided the taxation laws of Shenzhen, China as tax laws are more lenient in the Hong Kong markets. The iPad 2 sells for about $499 at an Apple retail store in Hong Kong, but the official price in Shenzhen, China is about $572. In order to attract buyers, unauthorized retailers look for a sales price in between those two price points to move iPads off the shelf. Unauthorized dealers also like to use students living in Shenzhen to smuggle Apple products across the border when they attend school in Hong Kong. Some students even strap several iPhones to their waist and chest as well as avoid detection with baggy clothes. The news of this smuggling ring comes shortly after two fake Apple shops in southwestern China were ordered to shut down by authorities.